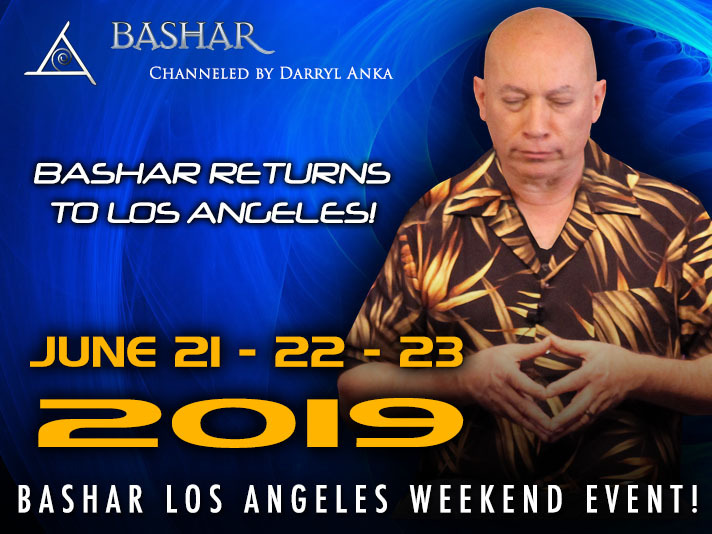 Bashar returns to Los Angeles! Join us in Los Angeles for a 3-day Summer weekend event. Title and description coming soon! Color and Sound Designed to Crystalize and Integrate Your New Understanding. Tickets go on sale April 19, 2019 at noon. $75 *Early-bird discount expires May 20th. Regular price is $85. All ticket sales are final. Tickets are available at the door only from 2 hours before the event start times. Will you be bringing a translator to the event? Email us at events@bashar.org to make special arrangements. Please email us at events@bashar.org for assistance. Copyright © 2018 Bashar Communications, Inc..